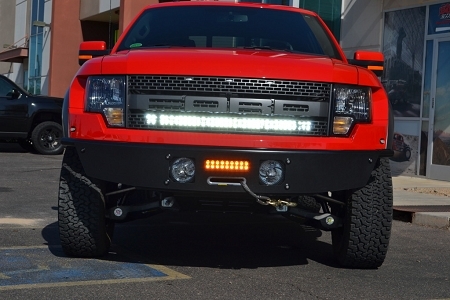 We teamed up with Vision X to develop an efficient lighting solution for the Ford Raptor. 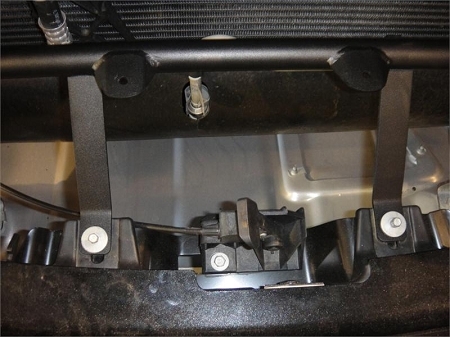 Rather than just going with a euro or spot beam, we worked both into one light so that you can get lighting for peripheral vision as well as whats at a distance in front of you. The new Vision X 5 watt LED is a step up from the 10 watt LED bars. 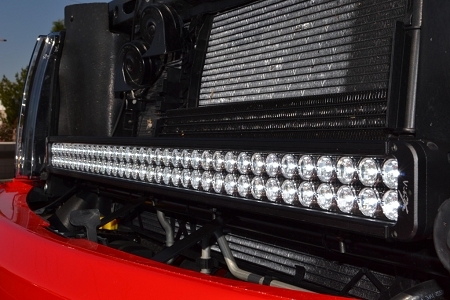 This new bar holds 72 5 watt LEDs that produce 493 Lumens per build. That s an INCREDIBLE 35,496 Lumens!